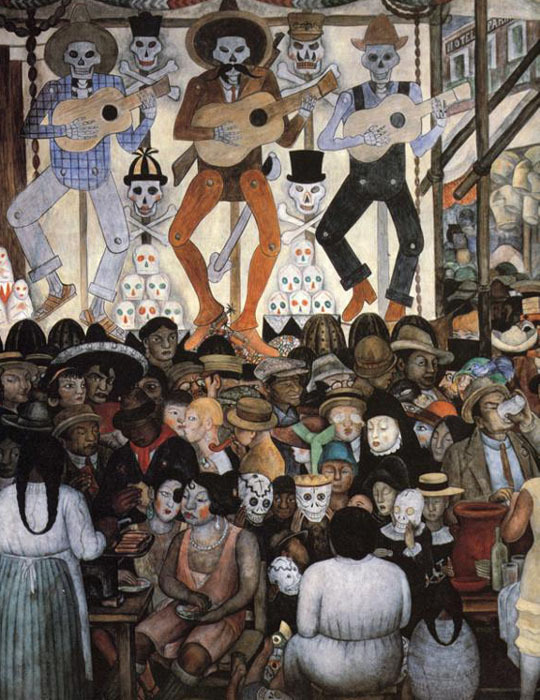 "'My homecoming aroused an aesthetic rejoicing in me which is impossible to describe," wrote Diego Rivera later. "It was as if I had been reborn; [. . .] I found myself at the centre of a plastic world, in which colours and forms existed in total purity. Everywhere I saw a potential masterpiece - in the crowds, the markets, the festivals, the marching battalions, the workers in the workshops, the fields - in every shining face, every radiant child. [. . .] The first sketch I did filled me with astonishment. It was really good! From then on I worked confidently and at peace with myself. All inner doubt, the conflict that had so tortured me in Europe, had disappeared. I painted as naturally as I breathed, spoke or sweated. My style was born like a child, in a moment, with the difference that this birth took place at the end of a painful, 35-year gestation." 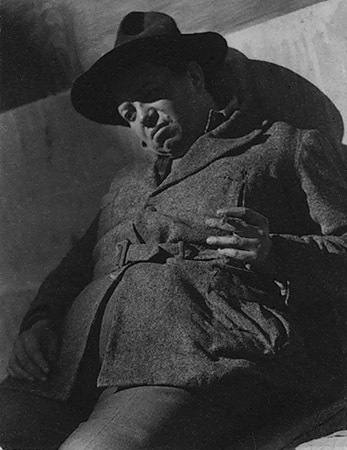 Thus Rivera describes his new-found identity and the emergence of his new style, in his old surroundings which were suddenly so new to him. 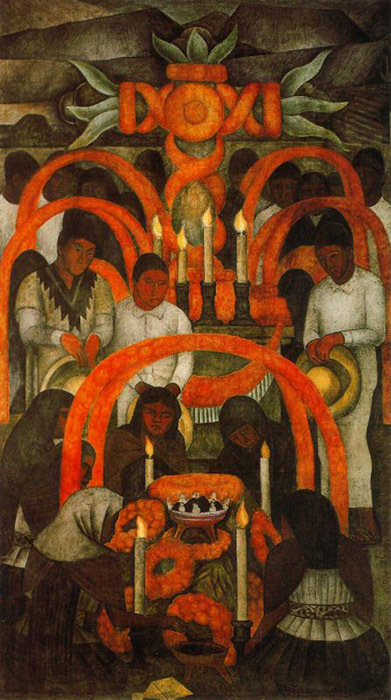 On his return to Mexico, Rivera was immediately enlisted by Jose Vasconcelos to help carry out the government's cultural policy; after ten years of civil war the minister of education was in search of a new form of artistic presentation for his programme. 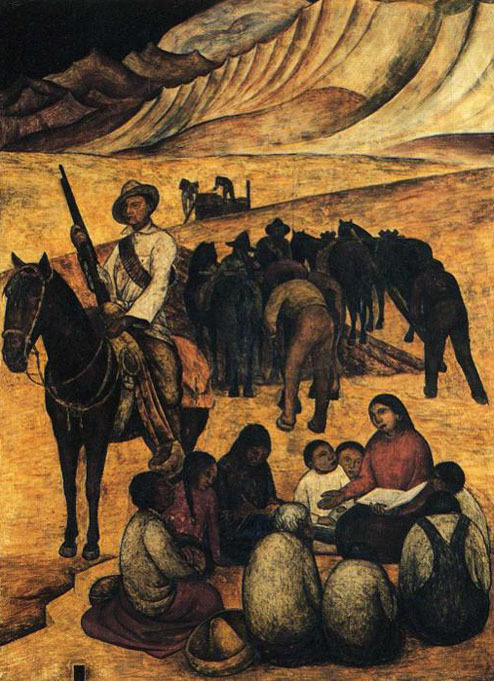 He had begun to put interested artists of the country to work to use his Mexican ideology and humanist ideals in a programme of wall-paintings, and was determined, through the comprehensive cultural reform movement that he proclaimed, to support the social and racial equality of the Indian population which had been the ideal of the Revolution and, after centuries of Spanish-Christian blocking of Indian cultural integration, to reclaim independent Mexican national culture. 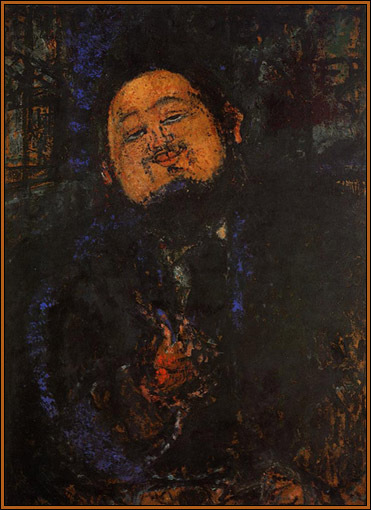 The educational use of wall-paintings was an important instrument of his policy; by this means he wished to demonstrate a break with the past, although not with tradition, and above all, to establish a rejection of the colonial epoch and nineteenth-century European culture. 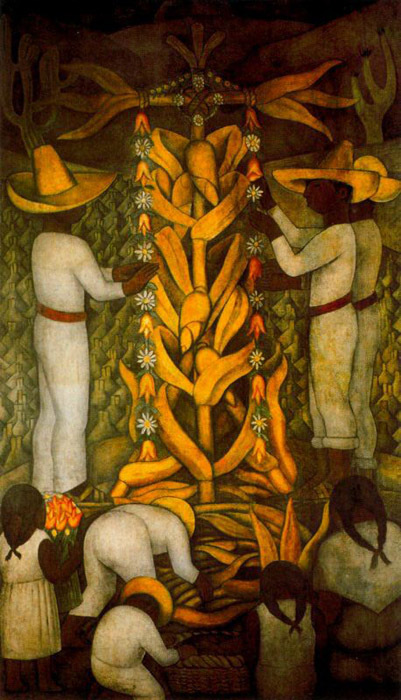 In November 1921, together with other artists and intellectuals like himself just returned from Europe, Rivera was invited by Vasconcelos on a trip to Yucatan to visit the archaeological sites of Chichen Itza and Uxmal. Vasconcelos accompanied the group, and called on its members to familiarize themselves with the artistic heritage of Mexico, since this would form the basis of their future work. 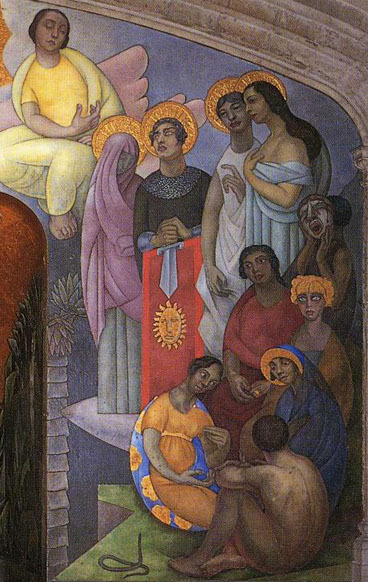 In response to the promptings of Vasconcelos, whom he accompanied on further trips to the provinces, and in search of new possibilities of expression by means of which he could communicate with the population of his country, Rivera began to conceive plans for an art that would serve the people, and show it its own history in wall-paintings. 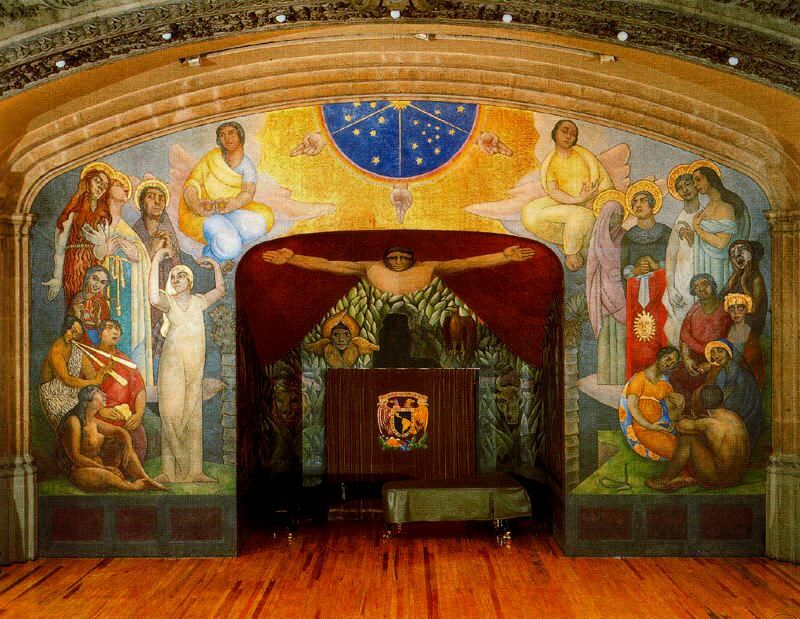 In January 1922, six months after his return from Europe, Rivera began work on his first mural, Creation, in the National Preparatory School (Escuela Nacional Preparatoria), the upper school of the former College of San Ildefonso in Mexico City. 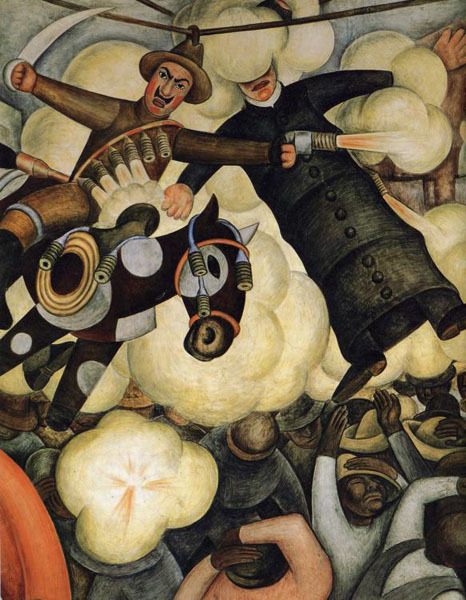 His work here was the prelude and touchstone of the so-called Renaissance of Mexican mural painting. 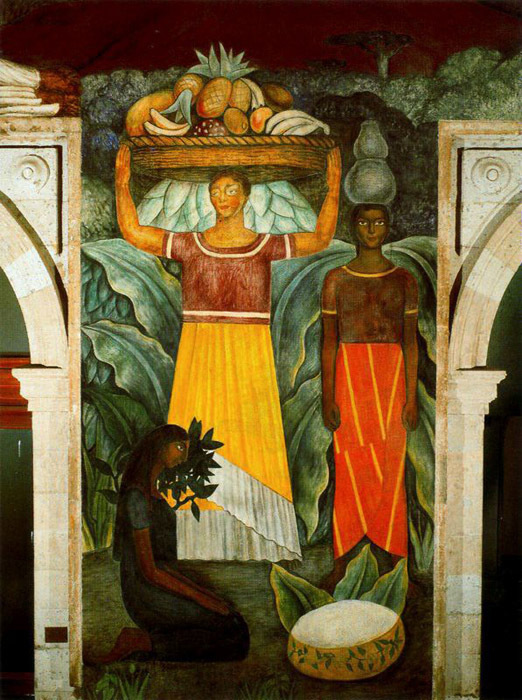 While a number of other artists worked on the walls of the inner courtyard, Rivera spent about a year in completing the experimental fresco in the Bolivar Amphitheatre at the school. 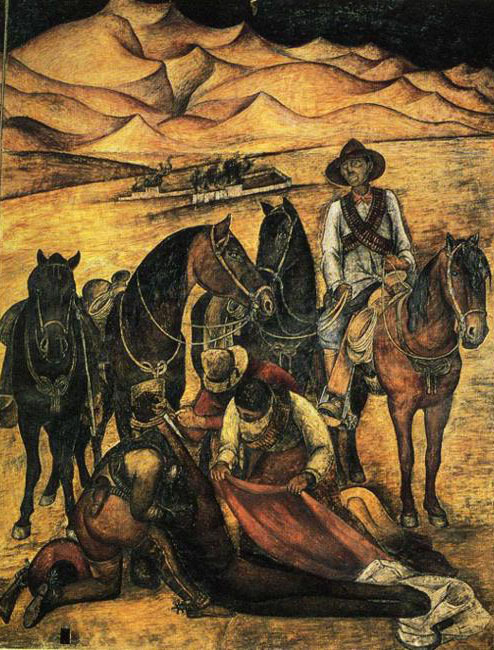 For this first as for almost all his later murals Rivera, a skilled draughtsman, developed his design in preparatory drawings in charcoal and red chalk, in the manner of the artists of the Italian Cinquecento. 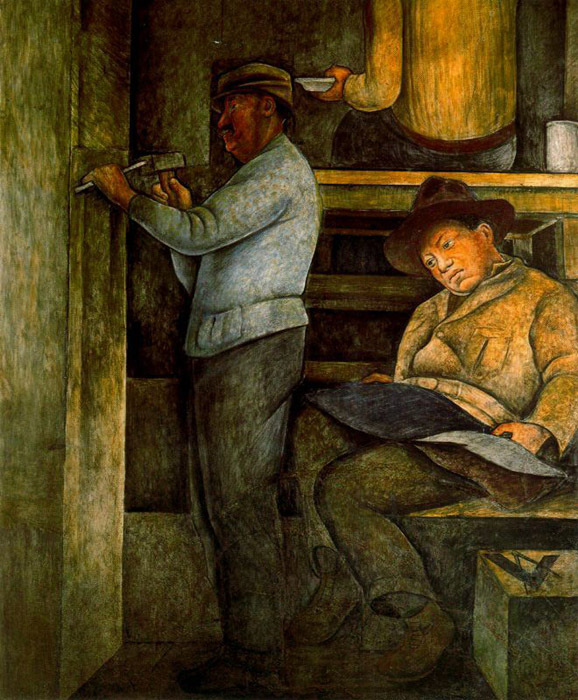 While in the easel works that Rivera painted in the first months after his return to Mexico themes from Mexican everyday life are predominant, in this mural he depicts Christian and European subjects, a vivid Mexican colourf ulness and various Mexican figure-types in order to provide contrast. 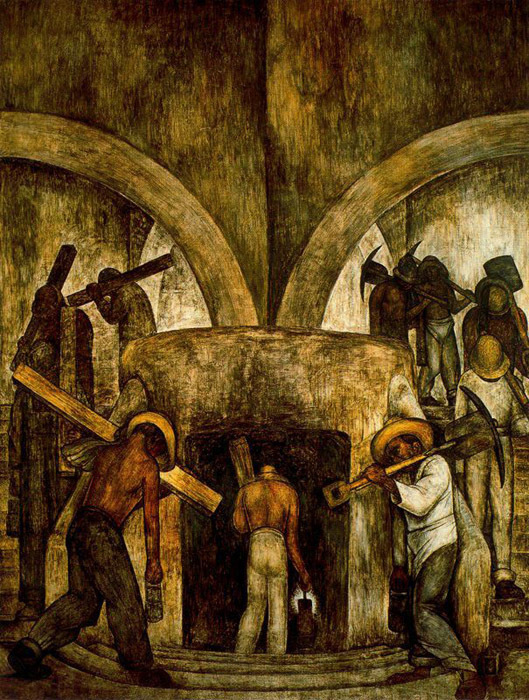 This is a work in which Nazarene stylistic elements are evident, and in the execution of which Rivera found his Italian studies of great use. 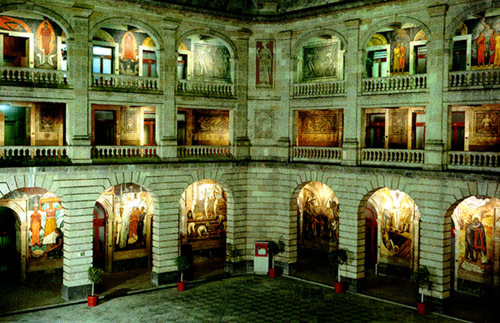 Themes in the Bolivar Amphitheatre embrace, in the artist's words, "'the origins of the sciences and the arts, a kind of condensed version of human history." 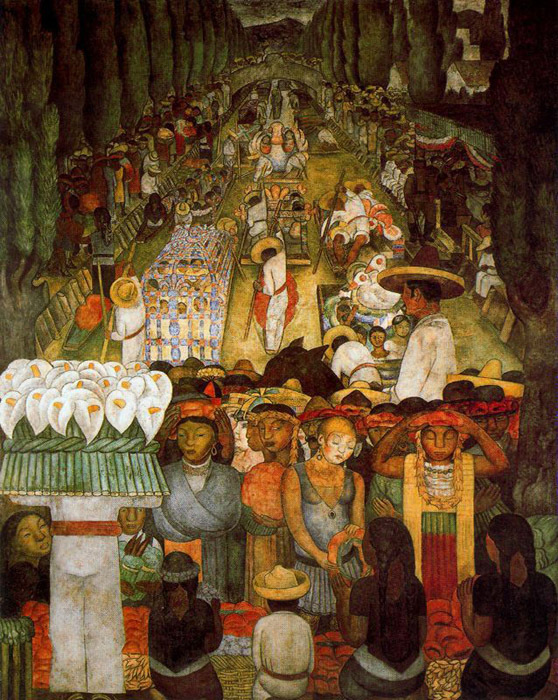 The scene depicted seems to reflect Vasconcelos's ideology: racial fusion, represented by the mestizo couple; education through art; the striving for virtues, which teach Judaeo-Christian religion; and the wise use of science in order to control nature and to lead man to absolute truth. 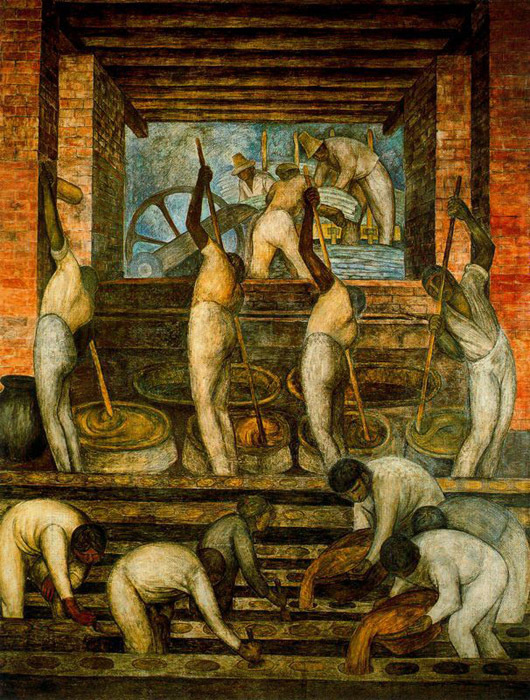 In the murals Rivera painted next his pictorial language was modified, acquiring a political slant not present in the Amphitheatre mural. 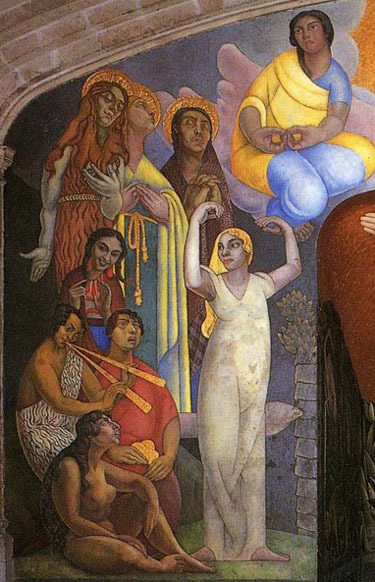 The forms of a classical aesthetic ideal on which he falls back in this transitional work arc replaced in his next murals, at the Ministry of Education, by those of an Indian aesthetic ideal, which, together with Jean Chariot and other contemporary artists, he himself created and fixed.